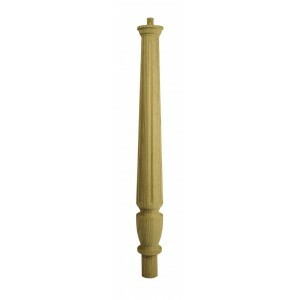 Newel post turning sections available with a plain elegance or with decorative fluting. 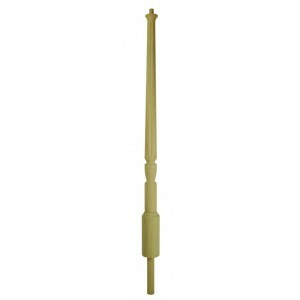 Ideal stair parts for producing a large, flowing staircase handrail that can easily be continued across a landing. 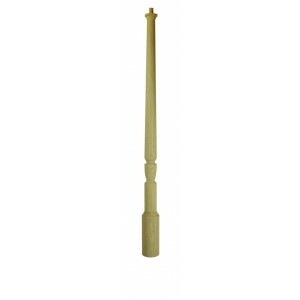 The newel turnings on stairs are practical structural elements that also add a decorative touch to the balustrade. 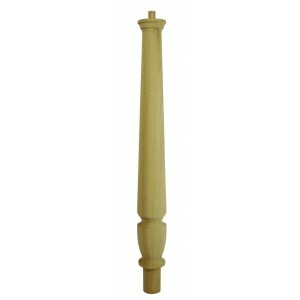 These newel post parts can easily be combined with a newel base when needed to ensure the specifications match your staircase. Classic White Oak stair parts from Richard Burbidge give you a traditional looking staircase with a truly grand feeling. Over-the-post handrails will give your staircase a smooth and sweeping appearance and are a great choice for new or renovated stairs.